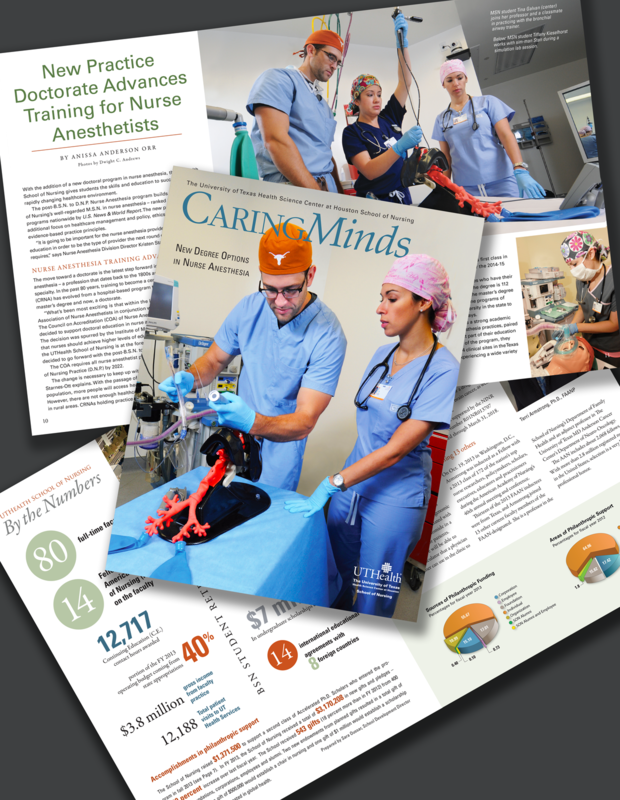 Denning & Denning has produced the UTHealth School of Nursing’s annual magazine for more than a decade since its inception. Over this time, we have worked with three different editors and established the name and formatting of the magazine. Each year, we follow its production from conceptualization to print and final delivery, which is followed by a digital version for online application. 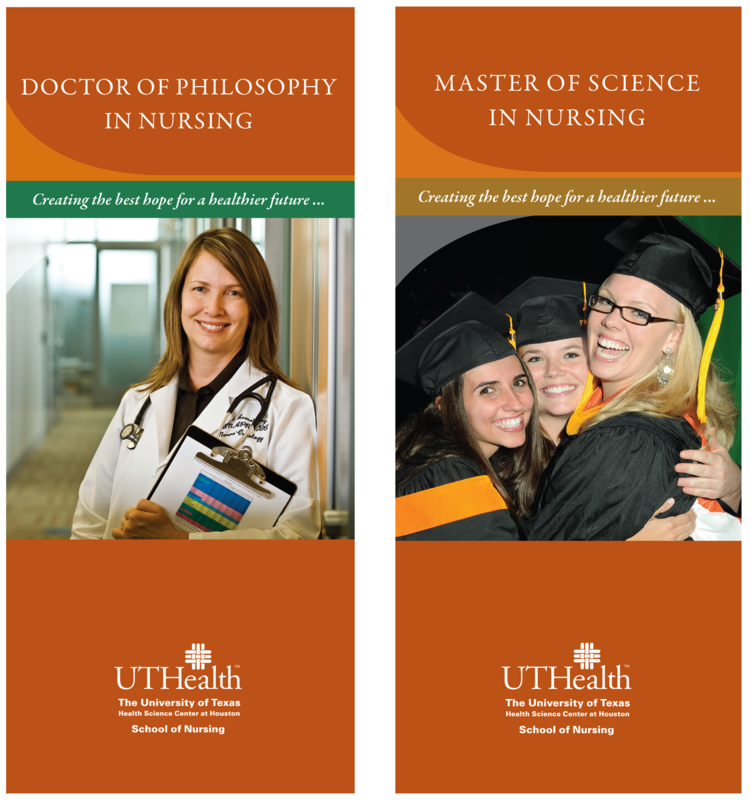 From dynamic editorial design to simple infographics, we ensure our knowledge of graphics standards adheres with the UTHealth brand guidelines. The school is consistently honored with a high national ranking by U.S. News and World Report. In addition to the magazine, we design a series of evolving degree program brochures that provide overviews of each program. 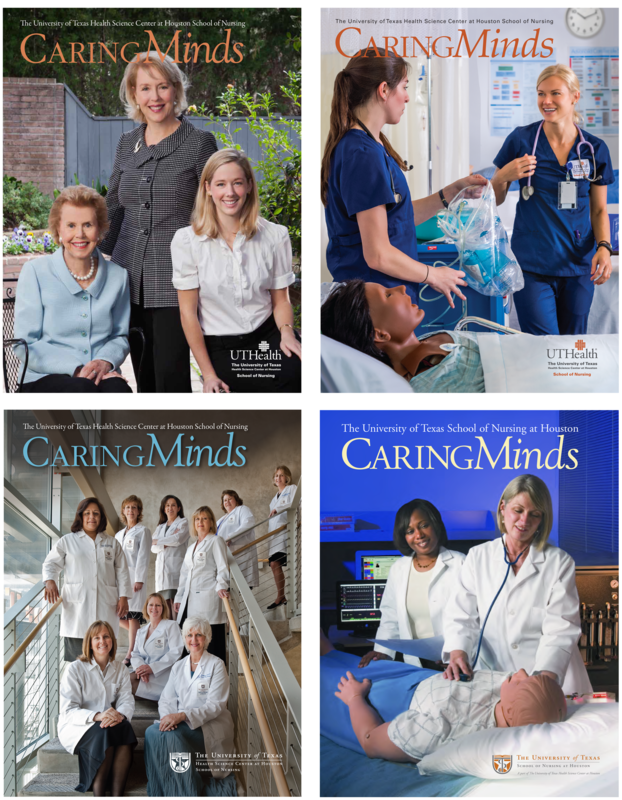 Below are links to online versions of the magazine and brochures.